In 2012, the North Yorkshire Moors National Park celebrates its 60th Anniversary. This beautiful landscape is full of interesting places to visit as well as a huge number of footpaths and bridleways making it the perfect place for walker and cyclists of all capabilities. With its beautiful heather moorland, woodlands, forests, hills and valleys, the North Yorkshire Moors is one of the UK's most beautiful landscapes. 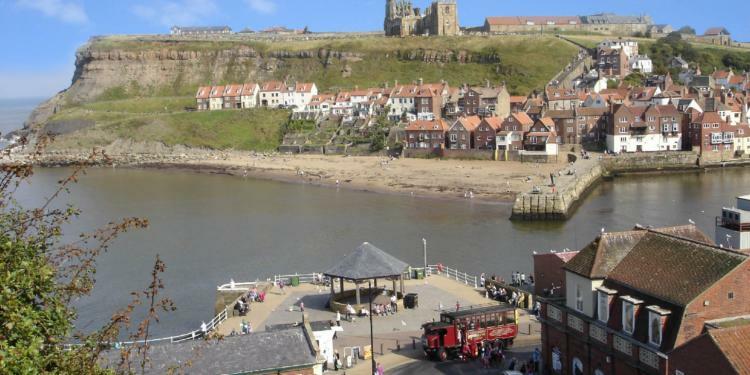 Within easy reach of Whitby are several woodland and forest areas. Dalby Forest is an excellent place for a gentle, woodland walk and with an excellent Visitor's Centre, cafe and play area, it makes an great day out. Dalby Forest is also home to some of the UK's best mountain bike trails and if you don't have your own bike, you can hire one from the bike shop located within the Forest. May Beck and Falling Foss (in Sneaton Forest) are just a 10 minute drive from Sleights or Whitby and also provide miles of woodland footpaths, beautiful scenery and a dramatic water fall. With a Tea Garden at the waterfall and an ice cream van in the car park (during the summer) this is a great place to take children, relax, paddle in the stream and enjoy some peace and quiet. Flamingo Land is just a short drive from Whitby, along the A169 towards York. It's theme park and zoo have been a family friendly attraction for over 40 years. The Theme Park with over 50 rides and the Flamingo Land zoo is an African extravaganza, boasting African Lions, Camels, Chimpanzees and more. The North Yorkshire Moors Railway is the most popular heritage railway in Britain. Steam locomotives take visitors through 18 miles of stunning countryside in one of the most beautiful national parks in the country, The North York Moors National Park. The North Yorkshire Moors Railway runs between the historic market town of Pickering to Grosmont and is one of the world's oldest railways lines. Trains also call at the picturesque stations of Levisham and Goathland (Aidensfield in YTV's 'Heartbeat' series). Special events and dining services are available throughout the year. Just over 30 miles south west of Whitby you'll find Castle Howard. Said to be one of the top 10 of the World's greatest mansions and grand houses, Castle Howard has been home to the Howard family for over 300 years. Set within 1000 acres of beautiful countryside, Castle Howard make an excellent family day out.